I watched the Thin Man the other night and really enjoyed it. 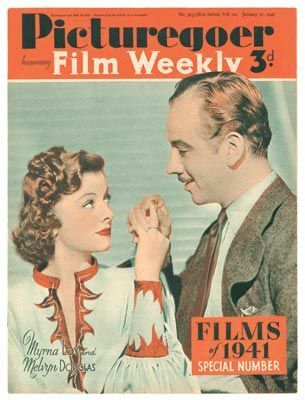 The movie came out in 1934 and starred Myrna Loy and William Powell. The quality of the movie was outstanding, the wit and humor that was displayed, and the simple and crisp production is a stark contrast to the cookie cutter movies made nowadays. Myrna Loy is a gorgeous actress, her beauty just oozes off the screen. She has a certain sexiness while still keeping all of her clothes on, quite unlike most of the Lindsey Lohan’s of today. I can clearly see why she was the pin-up queen of her day. Her role as Nora Charles in the The Thin Man clearly was the forerunner to characters such as Maddy Hayes in the TV series Moonlighting. She is smart, sophisticated, and the banter between her and William Powell is classic. While watching the movie, it was a bit eerie to think that everyone in it was now dead. Very hard to believe that it was made over 70 years ago. Brought to mind the song Pictures of Lily by the Who (go Google it). If you need to see a movie this weekend, go out and rent The Thin Man, or buy a copy at Amazon, you will not be disappointed, I promise! I saw it a while back on TCM and really enjoyed it. They were a hit comedy pair of their day and really made some fine movies together. moserws last blog post..Maxthon Review! I won’t like to see this film..
Ah, the “Thin Man!” One of the absolute greats. The “Song of the Thin Man” was rotten, but the rest in that series are great. Ethan, you are correct of course. I am looking forward to watching the rest in the series. Thanks for stopping by. That is one gorgeous pic of her! I love watching the old movies on TCM. It is weird and kind of sad knowing that most of the performers are dead now, but they will always live on in film! Thanks Diva for the comment. If your picture does you justice, you certainly have the right to determine someone’s level of gorgeousness, if that is a word. Thanks for stopping by!